This film made it on numerous Best of 2012 lists, and deservedly so, as it is a quiet, thought-provoking masterpiece. The only crime is that it there are no plans for a U.S. Blu-ray release. The most poignant moment, and, subsequent turning point, of director Julia Loktev�s (Day Night Day Night) 2011 film, The Loneliest Planet happens in the blink of an eye. We�re so stunned by what we�ve witnessed that it might take a minute or two to even realize the true gravity of what we�ve just seen. Such powerful subtlety drives what some may consider to be a too-slowly-paced film to an entirely new, genius level. Occurring near the film�s halfway point, this scene results in our spending much, if not all of the second half reflecting on the evident and (assumed) forthcoming consequences facing one, if not two of our trio of characters. It�s to Loktev�s credit that she pulls off such a sneaky, emotionally harrowing punch to the gut, and even more impressive that she does so without ever tipping her hand that such an event is even remotely close to happening. This is the most memorable sequence in any film released last year, and, that, combined with three outstanding performances and some truly gorgeous visuals, make MPI�s DVD release of The Loneliest Planet something that every film buff should take a look at immediately. Loktev�s film takes us on an intimate journey taken by the soon-to-be-married Alex (Gael Garcia Bernal) and Nica (Hani Furstenburg), as they trek through the Caucasus Mountains. They�re led through this somewhat grueling, beautiful expedition by their guide, Dato (Bidzina Gujabidze), a local who mostly stays out of the way while these two lovers enjoy each other and the incredibly beautiful scenery. When the trio reaches a point in their journey that is seemingly no different from any other area that they�ve already traversed, a misunderstanding of monumental proportions occurs. During this sequence, which, in lesser films, could be chalked up to a simple cross-cultural divide, one of the three characters we�ve taken this journey with is forced to make a potentially life-or-death split- second decision. 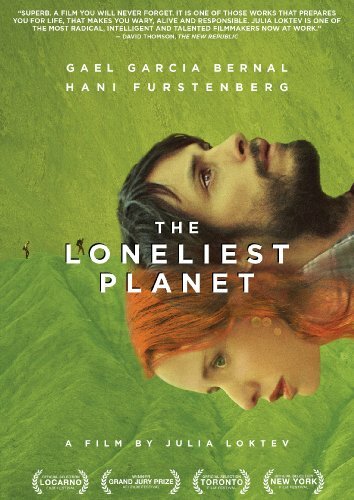 The Loneliest Planet is a film whose plot you should know nothing else about from this point forward. What you should know, though, is that its effectiveness is powered not only by Loktev�s direction, but by the performances of Bernal and Furstenburg, both of which were grossly neglected during awards season. While Furstenburg�s is the slightly more daring performance (for the opening scene alone), Bernal�s requires quite a bit of emotional range, especially during the film�s second half. Both actors make a great, believable couple, exchanging glances and engaging in conversations as if they were an actual pair, and such genuineness is tantamount for this film to work. It does more than �work,� instead standing as one of the most effective, memorable movies of 2012, that was sorely overlooked during its small domestic theatrical release, yet shouldn�t be passed over now. It�s baffling as to why there are no immediate plans for a Blu-ray release of The Loneliest Planet, if only so we can bask in the 1080p glory of Inti Briones� breathtaking cinematography. Instead, we have to settle for a still- impressive transfer that does a nice job presenting the film in what�s likely the best we can expect from a non-Blu- ray video treatment. Displayed in a 1.66:1 anamorphic widescreen aspect ratio, the digital photography (courtesy of the RED digital camera) looks good, while the bright, vivid colors make much of the film double as a travel video for the Caucasus Mountains. The Dolby Digital 2.0 soundtrack does a fine job with this muted mix that doesn�t call for much surround usage or directional effects. The dialogue, is wonderfully handled, though, remaining crisp and clear during the entire film. The extras include a 29-minute behind the scenes piece that features candid, on-set footage of the film�s shooting, a collection of still photos taken by Bidzina Gujabidze, who plays Dato in the film, and the trailer for The Loneliest Planet.